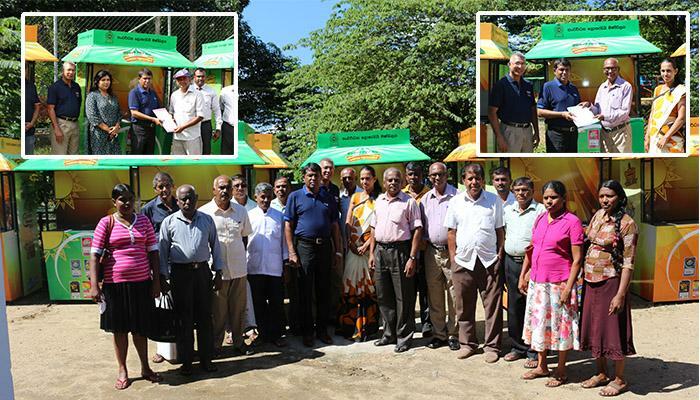 With a view to expand the opportunities for self-employment within the country, DLB has commenced a programme for distribution of sales outlets concurrently to Vision 2025 and Enterprises Sri Lanka programmes. Main objective of this programme is to encourage sales assistants and sales agents whilst enhancing the attraction of Lottery Industry. Accordingly measures have already been taken under the above programme to make and distribute 500 attractive sales outlets through nearly 2500 sales agents scattered all over the Island in order to enhance self-employment within the country. 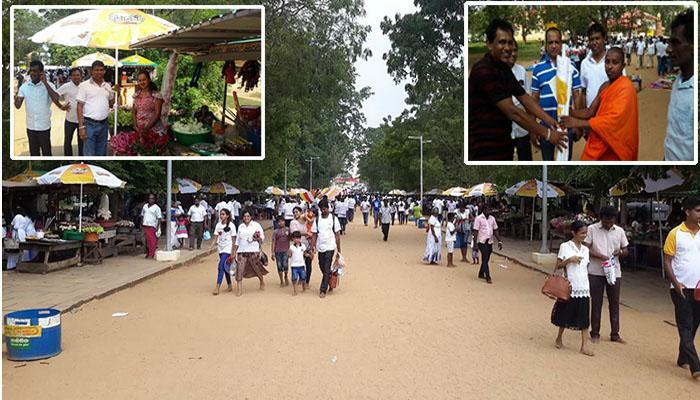 As an initiative, 25 sales outlets were distributed on 30th August 2018 among sales agents in Monaragala and Hambantota districts concurrently to the Gamperaliya exhibition. 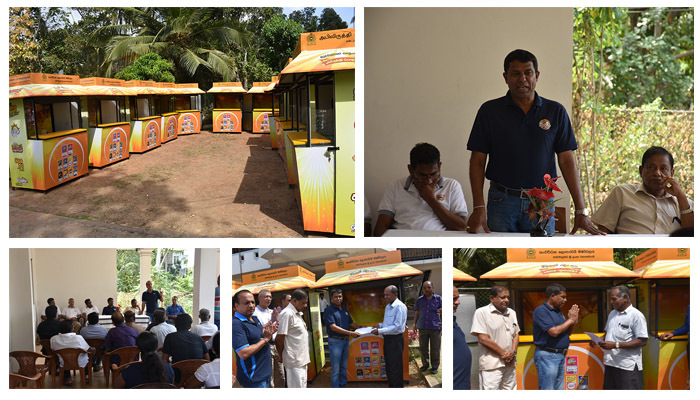 Sales outlets were handed over to sales agents of Hambantota under the patronage of Mr. S.A.P.Suriyapperuma, Chairman of DLB at the office premises of Mr. Jayasena Gamage, District Distributor of Beliaththa. Senior officers including Mr. H.R.Wimalasiri, Working Director participated in this event. Whilst addressing the gathering, Mr. S.A.P.Suriyapperuma, Chairman, stated that DLB expects to attract young generation to the lottery industry with positive attitudes and also to enhance the DLB and lives of sales agents through this programme, which mainly focuses on the progress of the lottery industry and transformation of the market to an attractive arena. 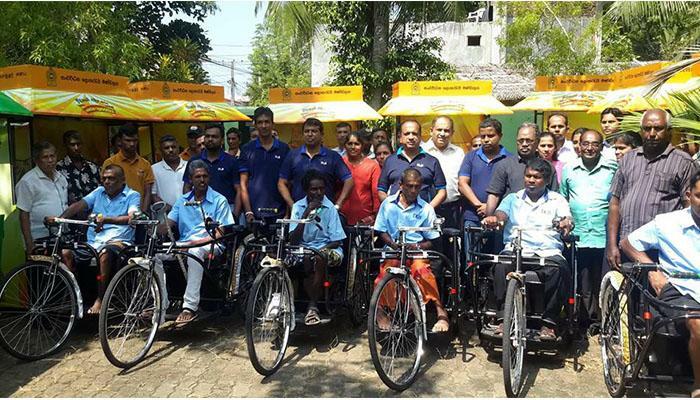 Another phase of the programme launched by DLB to distribute sales outlets to Sales Agents and tricycles to differently-abled Sales Assistants was carried out on 27.12.2018 at Galle town. Another phase of the programme launched for the distribution of sales outlets to the network of Sales Agents, who are always dedicated to the progress of DLB, was successfully completed recently (24.12.2018).